We were honored to be invited to a reception at Cedar Crest Mansion in Topeka for the Kansas Book Festival this past September, and we were able to chat with First Lady Mary Brownback of Kansas. We reached out to her again recently to get her thoughts on what’s so special about the Sunflower State, and here’s what we found out! Cedar Crest has many trails close by – it’s particularly unique to have public trails so close to a governor’s mansion – what value do you feel public trails and public lands have in Kansas? These public trails and lands give so many of our residents the opportunity to get out and enjoy nature, to see and experience so many new things. I think about people living in large, metropolitan areas and, not that there aren’t opportunities for those people to enjoy the great outdoors, but it seems the opportunities are fewer and farther between. Do you see a lot of trail users at MacLennan Park and Cedar Crest? Every single day. Regardless of weather, there are plenty of people who will bring their dogs for walks on the trail. When the weather is nice though, the trails are full of walkers, runners, bikers and hikers, alike. There are many who come to fish at the ponds, as well. What are some of the biggest Kansas misconceptions you think people have? I think two of the biggest misconceptions about Kansas are that Kansas is flat and that there’s nothing to see or do here. Out of staters often think of Kansas as “flyover country” – what would you say to change their minds? If they’re only flying over Kansas, they’re sure missing out on a lot. The Flint Hills are absolutely beautiful, the college and university campuses are wonderful and, in my travels across the state, I’ve seen some of the most unique main streets with artisan shops and local flair. When you think of Kansas, what’s the image that comes to mind? Without a doubt, I picture “home.” This is the state where I grew up, where I live among some of the friendliest people in the world. It’s where I’ve put down roots with my own family and raised my children. There’s no place I’d rather be. For someone who’s never been to Kansas, do you have any recommendations for where to go or what to see? There are so many great places to take a first-time visitor to our State. A walk around the campus of the University of Kansas (my alma mater! ), the Flint Hills, the Kansas Cosmosphere and the salt mines in Hutchinson all immediately come to mind. But there’s also the Sternberg Museum of Natural History in Hays and the Walnut Valley Festival in Winfield. So many great attractions that make Kansas such a special place. At the Kansas Book Festival with Mary Brownback. For someone who grew up in Kansas and feels like they’ve seen everything there, do you have any recommendations for where to go or what to see? Many of my answers for this question could overlap with the question above. If you’ve grown up in Kansas, you’ve surely had a tour of the State Capitol. But with the recent renovations, that is definitely a site that you’ll want to plan to visit again; it’s absolutely beautiful. If you’ve never been to Tanganyika Wildlife Park in Wichita or the Rolling Hills Wildlife Adventure in Salina, those are a couple of the more unique zoo experiences that you’ll find in this area. Finally, most Kansans get a good laugh out of the fact that we’re home to several “world’s largest” sites but if you haven’t seen it before, the world’s largest hand dug well in Greensburg really is quite the sight. What makes Kansas special for you? Many of my fondest memories have taken place in Kansas. Having spent the majority of my life here, I can’t imagine living anywhere else. This is home. We had the honor of meeting George Frazier, author of The Last Wild Places of Kansas at the Kansas Book Festival, and we reached out to ask him a few questions about what he feels is just so special about Kansas. On a side note, his book is fantastic and highly recommended! What inspired you to write your book The Last Wild Places of Kansas? George: My entire life I’ve had a conflicted relationship with Kansas. In school, when we sang “Home on the Range,” I wondered how we could countenance a state song that celebrated the buffalo when we had once tolerated their annihilation. Later, when I eventually started to notice the unique landscapes of northeast Kansas and decided to dig my heels into our prairie firma and learn about my home bioregion, I immediately ran into a (mostly figurative) wall of barbed wire. 98% of Kansas is privately owned, so getting access to wild places became my main problem. Like a lot of people who grew up in or near a city and because no one in my family owned land, I realized I’d spent my life without much direct knowledge of this place I called home. I was knew the wildernesses of Colorado, Montana, and California. But not the wild places of home in Kansas. I felt like a stranger. So I spent three years travelling all over the state, researching our forgotten environmental and Native American history, “rediscovering” some little known wild places, looking at some of the more familiar ones with new eyes, and meeting hundreds of private land owners who took me into the hidden interior of Kansas. I wrote the book for people who, at some point in their lives, suddenly “wake up” and smell the sunflowers, people who want to experience the real Kansas – not the placeless farm country Kansas of wall calendars and coffee table books. Kansas has always been an extreme place – politically, weatherwise, and in the phenomenology of wild places. It seems like people are either completely clueless or, strangely enough, almost Pollyanic (is that a word?) in their knowledge and opinions about the state’s wild landmarks and remaining fragments of native ecosystems. The lack of access has indeed come to mean non-existence for most Americans and many Kansans, but wild Kansas champions don’t have to rubber stamp every weedy wildlife area or scrub forest nature trail as fantastic. The truth is more complicated. From left to right: Jonathan Conard, Kristin Conard, and George Frazier at Cedar Crest. 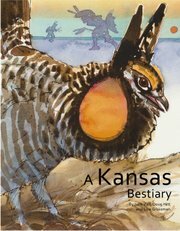 In the book, I’m very generous with what I find, but compared to other recent works on Kansas geography I tried to paint a picture of the state of our wild lands in the early 21st century. 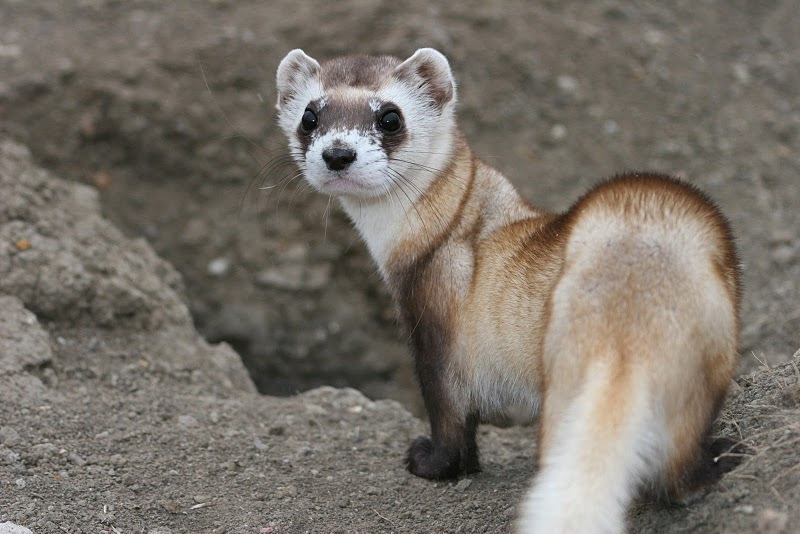 We have much to be grateful for – our rivers are the cleanest they’ve been in a century, extirpated species are making comebacks, there is renewed interested in hiking and paddling, and local communities are getting behind efforts to promote their wild places. I tried to focus on the good that I found, while pointing out areas for improvement. More than anything I think most people need a pair of glasses fitted with Kansas “lenses” to appreciate our bioregions. My book is hopefully a prescription. When I was a kid, as soon as you flew into Kansas airspace the flight attendants had to stop serving booze. I think my parents and most other travelers would have preferred “fly around” country. Do you find inspiration in Kansas for your writing? My book took years to write – almost nine all told. I worked on it not only in Kansas, but in California, Florida, Missouri, Mexico, Fiji, Colorado, and Canada. When writing about nature, I’ve found that being removed from your subject sometimes helps distill a refined perspective. Walking through the prairies in your mind can help more than walking through an actual prairie in terms of the craft. But my favorite Kansas writing space was the old Glass Onion loft above Yello Sub that used to be on the KU campus. I thanked them in my book’s acknowledgments, but by the time it came out, campus Yello Sub had been razed to make way for the Oread Hotel. This probably means I need to writer faster! For prairie immersion there is no better place than Tallgrass Prairie National Preserve outside of Strong City. Bison and bluestem. Head north through Council Grove to Manhattan after your hike. There you can do more hiking at Konza Prairie or drink beer in Aggieville – both are true Kansas experiences. Hike the Breidenthal tract near Baldwin City, the ancient pecan forest at Fort Leavenworth, the trail than connects the main highway at Big Basin in the Gypsum Hills to St Jacob’s Well, the Santa Fe Trail (20+ miles of it) at Cimarron National Grassland, or canoe the Kaw from the point where the Smoky Hill (our ancient buffalo river) meets up with the Republican in Junction City to the bridge in Manhattan. My book goes into great deal about all of those experiences. What’s on your Kansas bucket list? TravelKS.com put together a contest/initiative for Kansas Bucket List destinations and experiences. You can add your own on Instagram and Twitter with #ksbucketlist and a list of the top 70 will be coming out in the winter issue of Kansas magazine. You can check out a gallery of some of the best images here. And below is a screenshot of some of the current favorite images at the Bucket List site. Some pretty cool experiences and sights in the Sunflower State! As a Kansas native, I love this state for many of the reasons other may not. I love that the land can be flat, then rise to the small peaks of the Flint Hills. I love that you can literally see the horizon, therefore see the most beautiful sunsets ever painted by nature’s brush. As a part of our What’s So Special about Kansas interviews, we reached out to Dawn Buehler, who’s currently the Kansas Riverkeeper for the Friends of the Kaw. Kansas Trail Guide: One of your titles at the moment is “Kansas Riverkeeper” for FOK – what goes into being the Kansas Riverkeeper? DB: The Kansas Riverkeeper is a non-governmental public advocate who serves as the eyes, ears and voice of the Kansas River. The Riverkeeper advocates for the river by acting as leader, scientist, educator, spokesperson and investigator. Part of the Riverkeeper’s responsibilities includes holding the community responsible for the health of its river. The dumping of any type of waste in our river or streams is illegal. Unfortunately, this activity often goes unreported. KTG: Our book with University Press of Kansas is all about trails in Kansas for hiking, biking, and horseback riding. Many of the trails are in state and county parks. Do you have a favorite park or favorite trail in Kansas? If so, what is it that makes it special for you? DB: The Kansas River is a National Water Trail – designated in 2012. So my favorite trail is the Kansas River on my kayak. My second favorite trail to hike is the Konza 7 mile outer loop on the Konza Prairie. Absolutely stunning views of the Flint Hills! I love that when you hike to the top of the hill it feels like you can see to Colorado…most people don’t think of Kansas like that, but it is really quite stunning. KTG: Do you have a favorite Kansas river or lake? DB: My favorite Kansas river is THE Kansas River, or the Kaw as known locally. 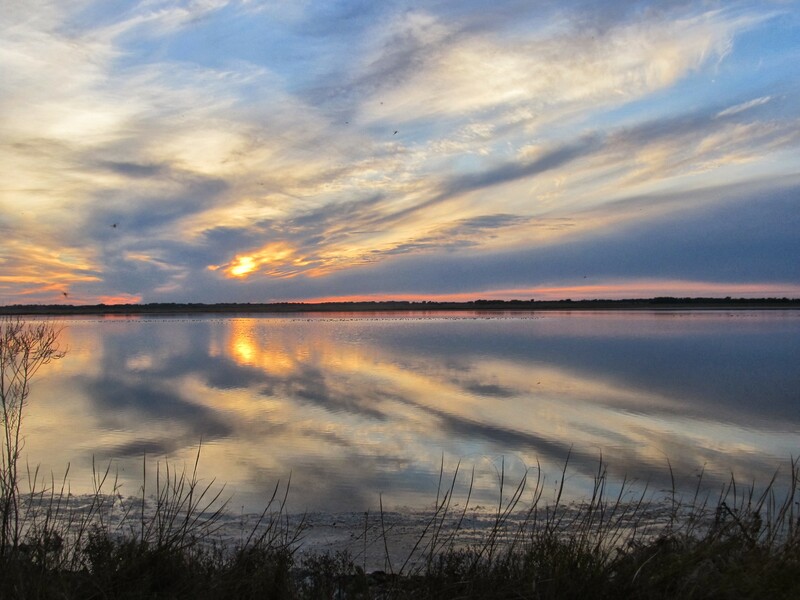 It is a very peaceful and scenic river, and if you ever have the opportunity to camp on the sandbars, you will get a real treat with another of Kansas’ beautiful sunsets! My favorite lake to go to is Milford Lake, again for the amazing sunsets, but also for the great wildlife, fishing, camping and hiking. KTG: Why do you feel it’s important that people have access to rivers, in particular the Kaw? DB: It is very important that Kansans have access to their state. Specifically, the places that are owned by the public should be made accessible to the public, and the Kansas River is one of those places. All streams in Kansas should be public waterways, but right now only the Kansas, Missouri and Arkansas are public waterways. It is important for people to be able to enjoy their own home state and the beauty of the Kansas River is one that should be shared with all. KTG: Do you have a favorite stretch of the Kansas River? DB: My personal favorite stretch is the area between Eudora and DeSoto; however, my reasoning may be different from anyone else. I grew up on the banks of the Kansas River in the DeSoto river bottoms and this is my home. We regularly were on the river between these two towns fishing, camping on sandbars, riding in our old john boat or riding in a canoe. I have some of my best memories on this stretch of the river…and it is very scenic as well! One of the most picturesque sections of the river is through the Flint Hills, around Wamego. Stunning really! KTG: What would you recommend for those who’ve never paddled in Kansas before and would like to try it out? DB: I recommend that anyone join us on one of our guided float trips. This type of float is designed for the novice boater. We bring the life jacket, boat and paddle and we show you how to use it and how to float the river. It’s the perfect opportunity for someone to learn and be with experienced paddlers. We do many cleanup floats throughout the season that are free to the public on a first come, first serve basis. On these floats, we clean up trash in the Kansas River as we float and we have a hotdog and marshmallow roast as well. 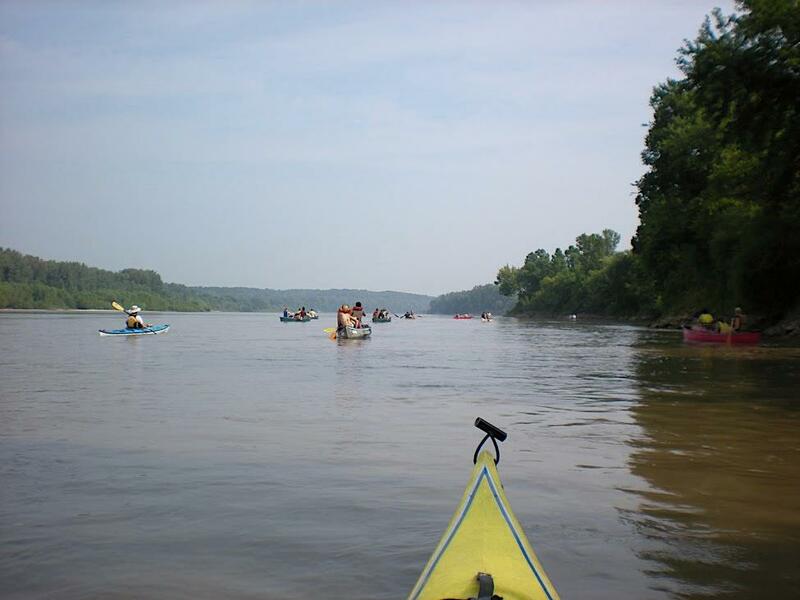 It’s a great time…cleaning up the river and enjoying a beautiful trip down the Kansas River! KTG: What barriers do you feel need to be overcome to get people out on the trails, whether it’s water or land, in Kansas? DB: In Kansas, the barriers that we need to overcome are that we need to change the law and allow all people access to all rivers and streams – not just the big three. We need laws that allow all people access to their state. Other barriers are fear of the unknown and we help with this by offering our guided floats that get folks out on the river in a more secure environment with people that are experienced. I think the barriers for hiking on trails would be to educate the public about what is available to them. KTG: What are some of the biggest Kansas misconceptions you think people have? DB: The biggest misconception about the Kansas River is that it is a dumping ground – a big ditch. People think that it’s too dirty to be on and that it’s not a floatable waterway. We are working to help the public understand that so much has changed with our river and that it is cleaner than years ago. We still have a lot to do as a state, but we are improving the river. The river is much more than a glance as you drive over the bridge! KTG: What makes Kansas special for you? DB: As a Kansas native, I love this state for many of the reasons other may not. I love that the land can be flat, then rise to the small peaks of the Flint Hills. I love that you can literally see the horizon, therefore see the most beautiful sunsets ever painted by nature’s brush. I love that the people of Kansas are hard working, family based and work hard for their communities. I love that we are fly-over state…and I feel sad for those that have missed its beauty. I’ve always taken a lot of pride in being from the state of Kansas and I think it comes across in my music. From Clearwater, Kansas, Logan Mize is a country singer and an official Kansas Tourism Ambassador. He’s got a new album coming out, and he’s coming to Kansas for Manhattan’s annual Country Stampede from June 26 – 29. We reached out to find out what he thought was so special about Kansas, and we have his music video that celebrates just how special this state really is. Kansas Trail Guide: Our book is all about trails in Kansas for hiking, biking, and horseback riding. Many of the trails are in state and county parks. Do you have a favorite park or favorite trail in Kansas? If so, what is it that makes it special for you? Mize: I grew up going to Cheney and Lake Afton a lot. I have really fun memories of both places. I’ve always thought Wilson Lake was really pretty as well. I look forward to visiting all of them eventually. Kansas Trail Guide: What does it mean for you to be a Kansas Tourism Ambassador? Mize: I’ve always taken a lot of pride in being from the state of Kansas and I think it comes across in my music. It’s a huge honor to be given the title. I just want to make sure I’m going above and beyond to promote the great features the state has to offer. Mize: I think it’s usually referred to as that long stretch of drive people have to cross on the way to the Rockies. It’s important for people to know there are plenty of attractions/destinations here in Kansas that I think would surprise most people passing through. Mize: I’d say to keep flying over so they don’t come crowd up all the open space that makes it feel so free Haha….I’d tell them they’re missing out on the best sunset they’ve ever seen, the best hunting trip they’ve been on, the best biking trails, small town main streets, cafés and diners, and down to earth people they’ve ever met. Kansas Trail Guide: What’s your favorite part of playing in Kansas? Is there anything that stands out with crowds in Kansas compared to elsewhere? Mize: Playing in Kansas is always a blast. It’s like a big reunion. Even if it’s a bunch of folks I’ve never met I can tell we get each other. It’s a lot of fun and no ones trying to figure me out here. I’m just one in the crowd and I like it that way. Kansas Trail Guide: Do you have anything special planned for Country Stampede? Mize: New album release! It’s tentatively scheduled for a July 1st release which means we’ll be selling them the last week of June exclusively at country stampede. So if you want it early that’s the only place to get it. 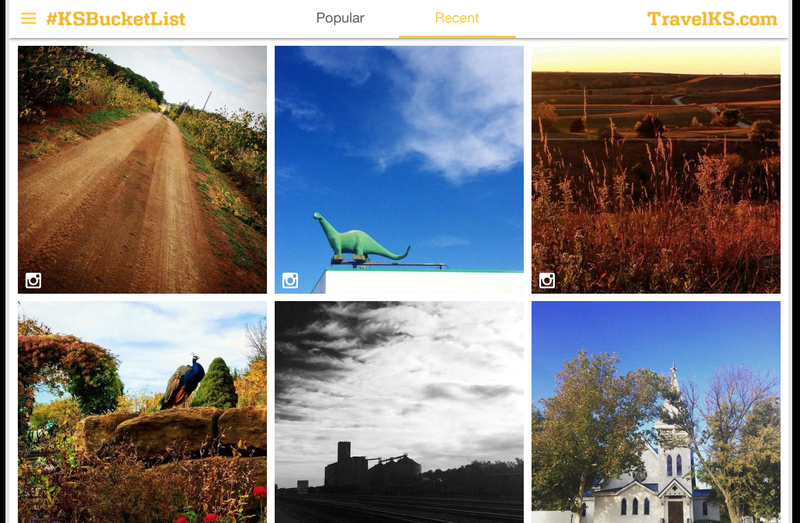 Kansas Trail Guide: When you think of Kansas, what’s the image that comes to mind? Mize: I’m 6 years old in my dad’s jeep riding down a dirt road in Sumner County. It’s evening in the summer. The wheat is a golden color and fields are scattered with rolling combines, the cottonwoods line the Ninnescah river banks, and we’re turning down a one lane dirt driveway just before crossing the Nixon bridge. We weren’t in any kind of hurry. Everyone we passed waved back at us. Whatever else prairie is—grass, sky, wind—it is most of all a paradigm of infinity, a clearing full of many things except boundaries, and its power comes from its apparent limitlessness; there is no such thing as a small prairie any more than there is a little ocean, and the consequence of both is this challenge: try to take yourself seriously out here, you bipedal plodder, you complacent cartoon. We have to admit, that we have used this series on the site as an excuse and reason to reach out to some of our favorite authors. We heard back from Rolf Potts and Marci Penner, and now, we’re honored that we got some face time, or rather Facebook time, with William Least-Heat Moon. To start with, yes, we know he lives in Missouri, but he spent a great deal of time in Kansas researching his book PrairyErth: A Deep Map , and he’s an advocate for the prairie and the small town. He’s written extensively about America and its landscapes in books like Blue Highways: A Journey into America , where he writes of checking out the back roads of the country after his divorce and in River-Horse: The Logbook of a Boat Across America , sets off aboard a small boat named Nikawa (“river horse” in Osage) from the Atlantic at New York Harbor in hopes of entering the Pacific near Astoria, Oregon. His work isn’t just about travel within America; his most recent book Here, There, Elsewhere: Stories from the Road is a collection of his selections of his best shorter travel stories. His insightful, thoughtful writing paints the pictures of lives and places that may be far beyond our own experience, but he brings them close and takes us with him on his journeys. His writing is intensely good and will stay with you. Deep in working on his own book, and not knowing us beyond our cautious request that he write the foreword for our book, he graciously answered a few questions for us. Kansas Trail Guide: You wrote PrairyErth, an in-depth book on Chase County, Kansas, which is situated in the Flint Hills. Part of the area has been set aside as a national preserve. Why do you think that the Flint Hills ecosystem is an area worth protecting? Heat-Moon: It’s the American uniqueness of the tallgrass prairie and its rarity today. Kansas Trail Guide: What do you think is the appeal of a landscape like the Flint Hills that some may think is uninteresting or uninspiring compared to mountain or beach landscapes? Kansas Trail Guide: In our upcoming trail guidebook, we’re focusing on the trails that can be accessed on foot, on a bike, or on a horse as compared to any highways or byways, forcing people to slow down to experience the area. What value, if any, do you see in getting off the paved sidewalks and onto trails through the woods and the prairies? Heat-Moon: Our human origins do not lie along sidewalks and paved surfaces; rather they lie where living things arise from soil and water. Kansas Trail Guide: Your writing has focused around traveling, often more slowly than most people travel. Do you have another big trip in the works? Or one that you’re working on writing up? Heat-Moon: My days of writing about long travels are likely at my back now. I hope now to look more closely at what I find on the little place in the woods where I live.